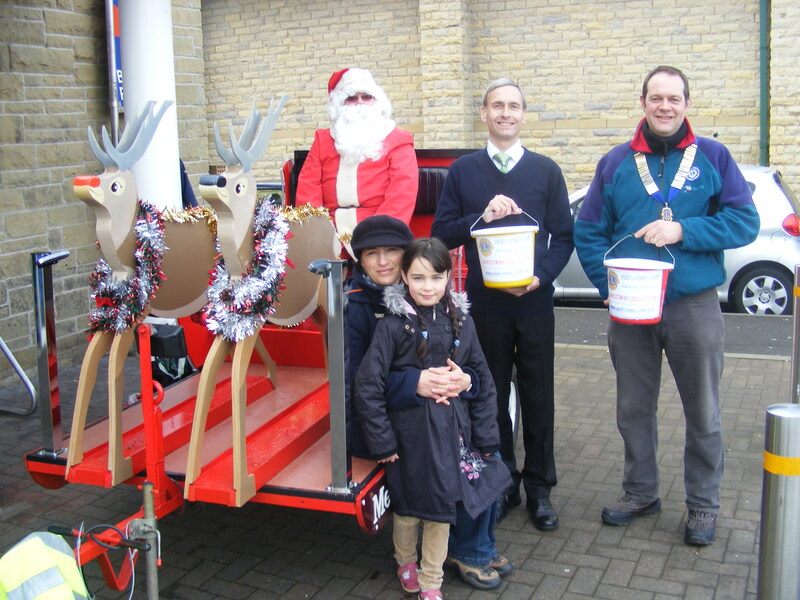 Many thanks to the Peel Lions for sending me a pic of when I joined them to help them with their Christmas Collection outside Ramsbottom’s Tesco. Peel Lions Club is a member of Lions International whose mission statement is “to empower volunteers to serve their communities, meet humanitarian needs, encourage peace and promote international understanding through Lions Clubs.” Their area of operation is Ramsbottom and Tottington and during the last 12 months they have supported the appeal to repair the steeple of St. Paul’s Church, the Christmas lunch organised by “Churches Together in Ramsbottom”, Young Carers, the local Music Festival, the 7th Ramsbottom Scout Group, the “Friends of Ramsbottom Civic Hall” and the Tottington Community Defibrillator Appeal. I was delighted to be able to help them in their fundraising and thank them for the very valuable work they do. This entry was posted in Local News and tagged Peel Lions by David Nuttall. Bookmark the permalink.